The country's two major political parties, Zanu PF and the MDC - which both find themselves fielding new presidential faces in this year's harmonised elections - are ramping up their preparations for the impending polls. This comes as a leading political analyst, Ibbo Mandaza, has predicted a victory for new opposition leader Nelson Chamisa in the elections - as long as the polls are free and fair. However, respected University of Zimbabwe political science professor, Eldred Masunungure, begged to differ and said empirical evidence pointed to a comfortable Zanu PF victory in the polls. For the first time in two decades, the forthcoming elections will not feature ousted former president Robert Mugabe and the popular late MDC leader, Morgan Tsvangirai — who lost his valiant battle with colon cancer in February this year. Mugabe’s 37-year, iron-fisted rule was dramatically ended by the intervention of the military in the country’s governance last November, paving the way for the installation of his long-time aide Emmerson Mnangagwa as his successor both in government and in Zanu PF. Zanu PF spokesperson Simon Khaya Moyo told the Daily News yesterday that the former liberation movement was going to its grassroots structures to mobilise its members ahead of the polls. He also said that this officially marked the kicking off of the party’s election preparations, which included an audit of its structures, and after which it would embark on the selection of parliamentary candidates. The party’s national chairperson, Oppah Muchinguri-Kashiri — who also leads its elections directorate — said her team would be concluding its election manifesto soon. “We are seized with the manifesto and it won’t be too long now before we conclude it,” she said. On the other hand, Chamisa has hit the campaign trail with relish, which is seeing him holding two rallies every weekend. On Saturday, he told a well-attended party rally in Murewa that the MDC Alliance would also soon unveil its election manifesto. More than 107 political parties have registered with the Zimbabwe Electoral Commission (Zec) to participate in the forthcoming elections, with the presidential plebiscite seen as a two-way tussle between Chamisa and Mnangagwa. However, Chamisa’s ascendancy to the leadership of the MDC has not been without its fair share of drama. Long-serving MDC vice president, Thokozani Khupe — who was fired from the party alongside two other senior officials last Friday, has since notified Zec that she will in fact be the MDC’s presidential candidate in the elections. The firing of Khupe, national spokesperson Obert Gutu and organising secretary Abednigo Bhebhe also followed the surprising resignation of chairperson Lovemore Moyo over the leadership rumpus. And yesterday, Gutu took to micro blogging site Twitter to announce that the splinter group led by Khupe would field candidates nationally in both parliamentary and council elections, apart from having her as the party’s presidential candidate. “The genuine, lawful, rightful and legitimate MDC-T led by acting president Hon Dr Thokozani Khupe will be fielding candidates in both parliamentary and local authority seats throughout the length and breadth of Zimbabwe,” Gutu said — even as critics derisively referred to the splinter group as MDC-ThokoZanu on social media. 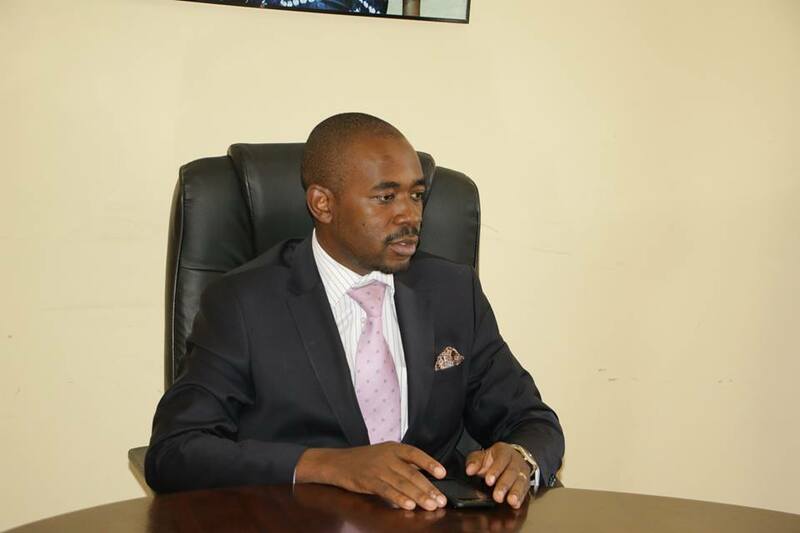 Chamisa has been receiving widespread support among the MDC’s supporters, apart from also receiving a ringing endorsement from the MDC Alliance which has said he will be its sole presidential candidate. Apart from the MDC, the alliance includes Tendai Biti’s People’s Democratic Party (PDP), Welshman Ncube’s MDC, Jacob Ngarivhume’s Transform Zimbabwe, Zanu Ndonga headed by Denford Masiyarira, and the Multi-Racial Christian Democrats which is led by Mathias Guchutu. Meanwhile, Mandaza has predicted a Chamisa victory in the elections as long as the polls are held in a free, fair and credible manner. “Zanu PF is wounded and it’s unlikely to win a free and fair election. The new kid on the block is Chamisa who has captured the imagination of youths, and I see nothing stopping him,” he said. But Masunungure saw things differently. “We are dealing with unknown factors. Both Mnangagwa and Chamisa have not really been tested as presidential candidates. Their abilities to attract voters are not known. “We might have new players, but fundamentally, the playing field has remained the same because they are still operating with their parties. “I agree with those saying Zanu PF is winning the contest comfortably, although not as resoundingly as in 2013. I would also like to warn that the talk that youths will vote Chamisa is mistaken because the demographics have been gravitating towards Zanu PF. “So what Chamisa needs is to reverse that trend rather than focus on the lie that the youths seen at his rallies will automatically translate into votes. On the balance, I would say the scales are tipped towards Zanu PF,” Masunungure told the Daily News.